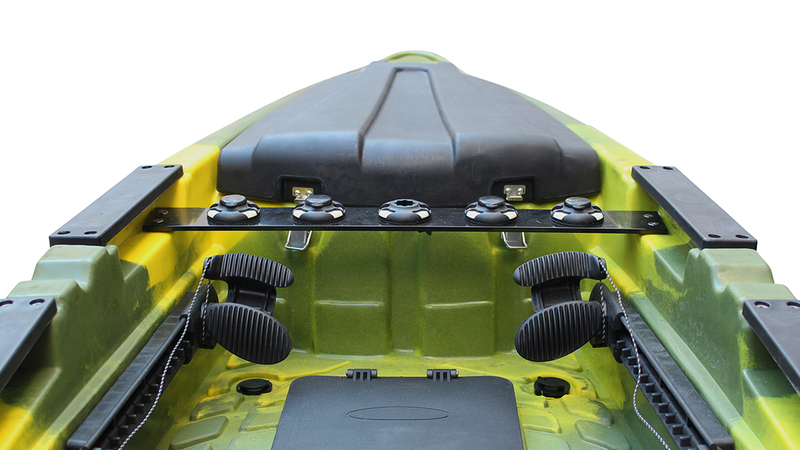 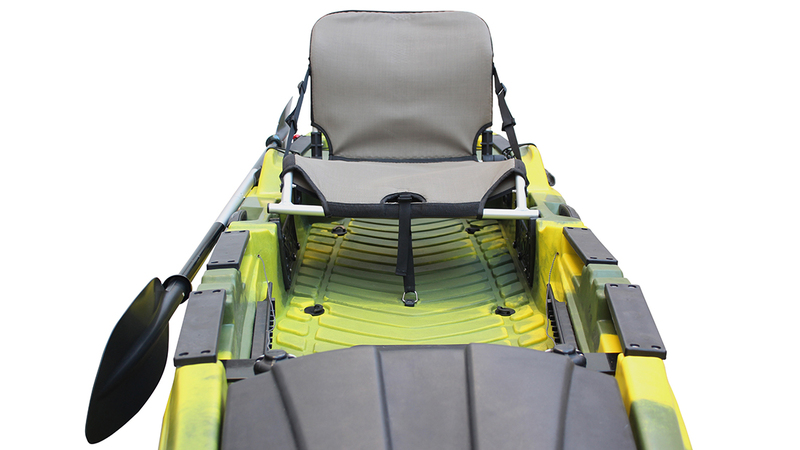 Comfortable and stable, high-end fishing kayak equipped with everything needed for any type of fishing, with impressive dimensions of 4.12m length and almost 0.9m width. 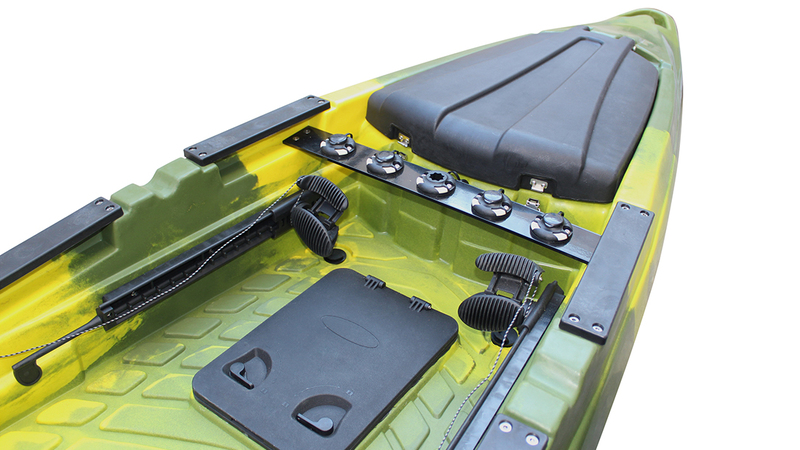 Thanks to the flat deck platform it can be used for stand up fishing. 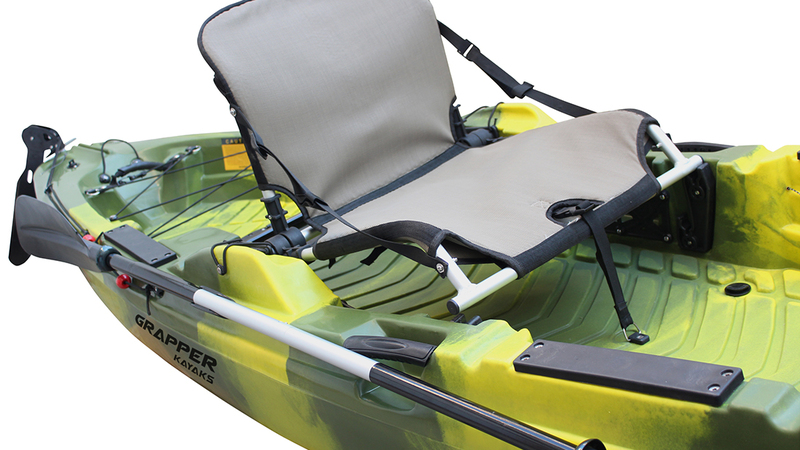 The comfortable seat is adjustable in height and it can be folded. 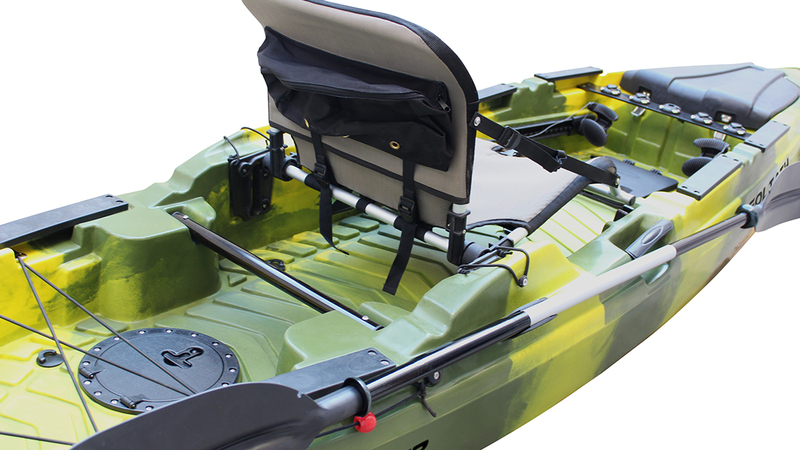 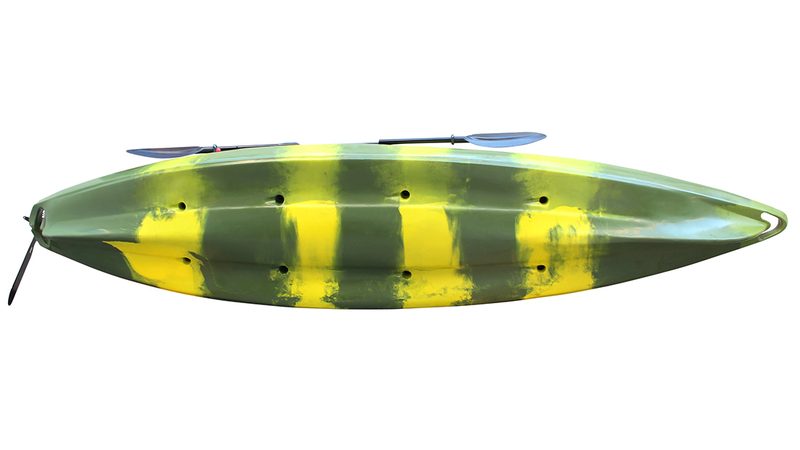 The kayak is suitable for all-day fishing. 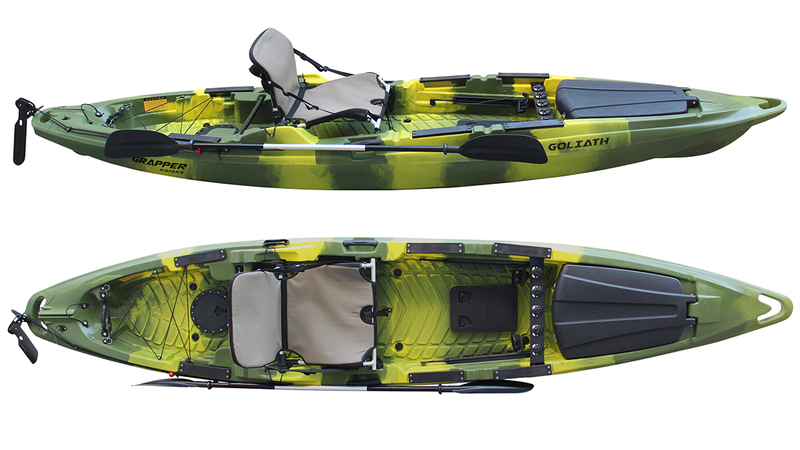 Goliath is particularly suited for large ponds and sea and continuous fishing. 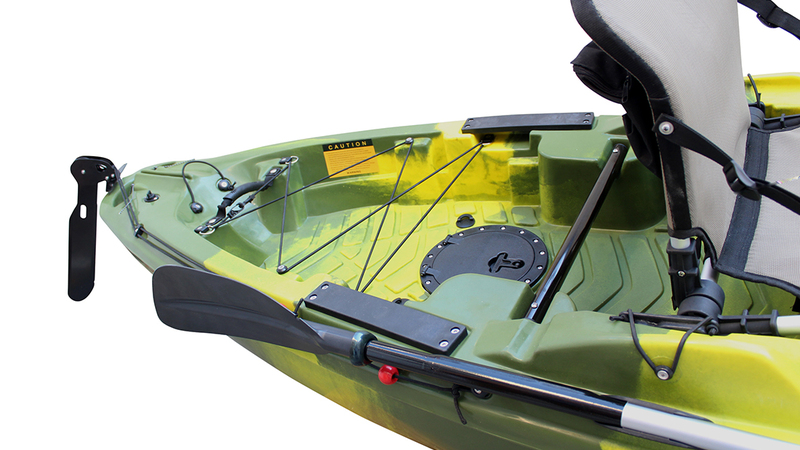 The large kayak size predisposes for more space on board, which can be used for more & larger equipment.